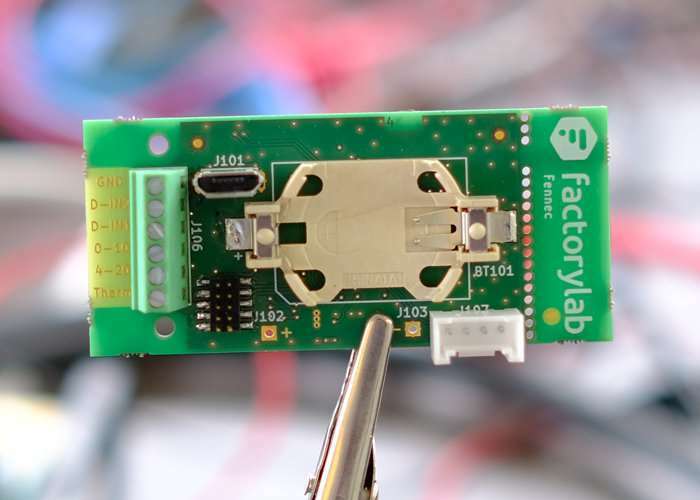 Harm Wouter Snippe a developer based in Zwijndrecht in the Netherlands has this week launched a new LoRa development board called the Fennec. Fennec offers and ultra low power LoRa sensor node powered by just one CR2032 battery. Watch the video below to learn more about its features and functionality. Do you want to measure temperature, connect a soil humidity sensor in your vegetable garden or monitor the air quality at your street corner? With the Fennec Development Board you are able to connect almost any sensor and create your own amazing ultra low power wireless projects. We have created the most energy efficient Arduino compatible IoT device with LoRa communication in the world. Powered by only a button cell you can send sensor readings every 15 minutes for the next five years over long distances (5-15km). The Fennec is a LoRa v1.0.2B compliant IoT device, hence it is capable to read sensors and control outputs. It has an integrated LoRa antenna that can be configured to all different LoRa regions in the world. The Fennec is capable to read analog sensors and digital I/O. With our software stack we support LoRa Class A, B & C. The unique ultra low power hardware design and deep sleep mode consumes only 4µA. As long as you have a sensor, the Fennec can do it all. Fenne is now available to back via Kickstarter with early bird pledges starting from just €49 and delivery expected to take place during December 2017. For full specifications and more information jump over to the official Kickstarter campaign page via the link below.